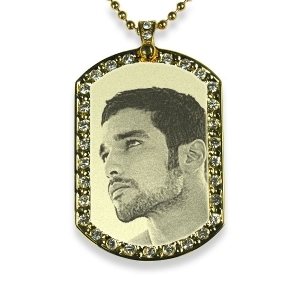 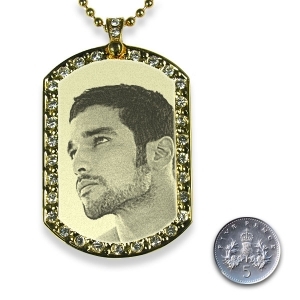 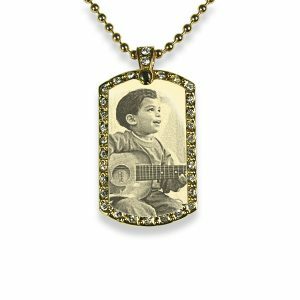 Gold Plate Medium and Wide Diamante Portrait Pendant. 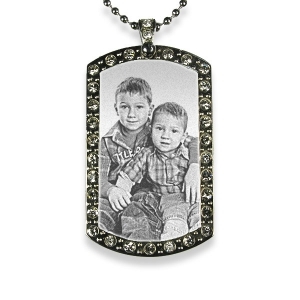 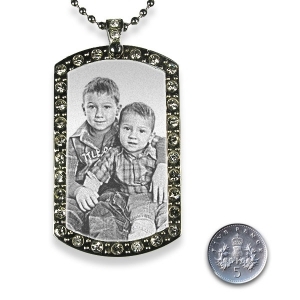 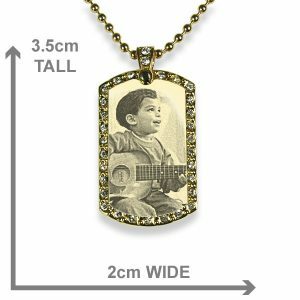 These medium-wide portrait photo pendants are for group or couple portraits. 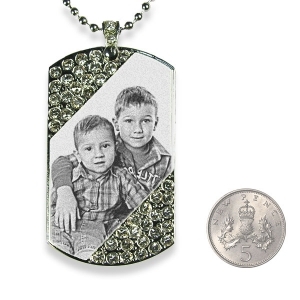 These photo pendants are etched in high detail with a diamond punch. 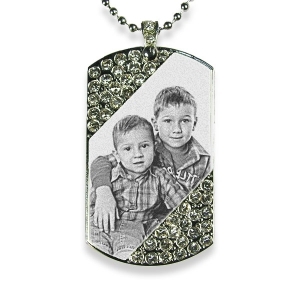 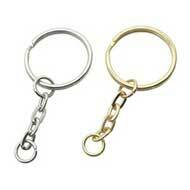 They will impress anyone lucky enough to receive it as a gift. 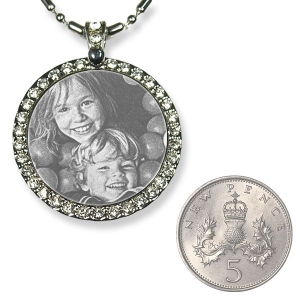 The reverse side can have a long message engraved of up to 150 characters. 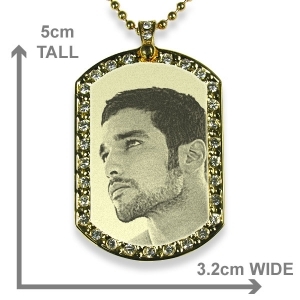 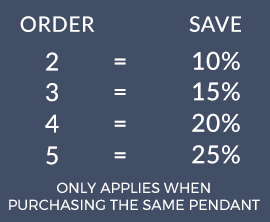 Upload a photo to see how it suits this pendant shape. 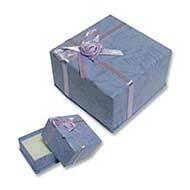 Whatever the occasion, be it a birthday, christening or just a gift to show you care. 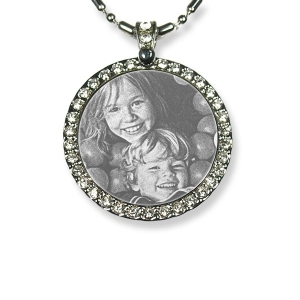 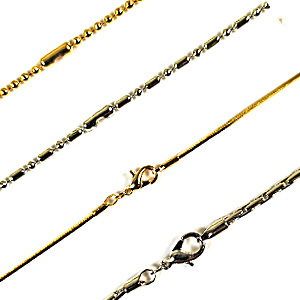 Photo jewellery will always capture those treasured memories of your loved ones.